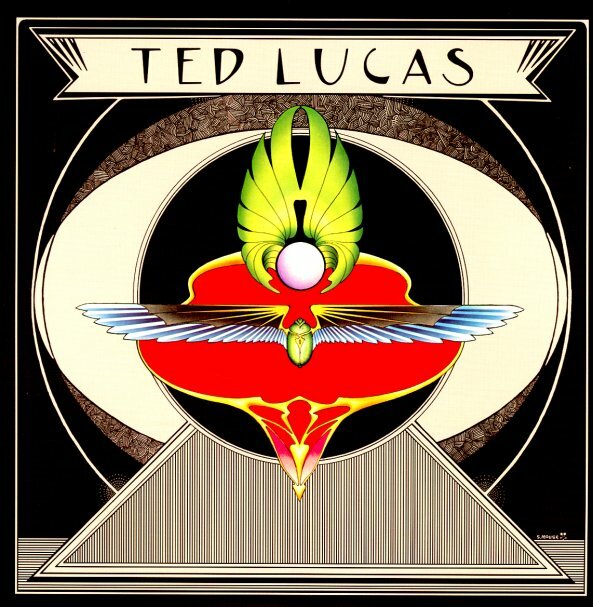 The lasting legacy of the enigmatic Ted Lucas – a somewhat mysterious figure who moved between Detroit and Los Angeles in the late 60s – but who works here with a sound that's completely his own! Part of the record was created as demo tracks for Warner Brothers – who'd issued some of Ted's earlier singles with other bands – but the material never got released on the bigger label, but has the kind of completely individual vibe that really captures the spirit of the best underground work Warner was handling at the time. Lucas sings shorter tracks on side one – but often with this weird sort of overlapping production style – creating his own vocal harmonies that resonate with slightly jagged guitar lines – flowing out in modes that partly illustrate his experience studying sitar with Ravi Shankar on the west coast, partly just show a love of unusual tunings that would have made Lucas great even as a solo instrumentalist. Side two definitely moves more into those modes – territory that resonates nicely with Sandy Bull or Robbie Basho – and titles include "Plain & Sane & Simple Melody", "Now That I Know", "Baby Where You Are", Robins Ride", "Sonny Boy Blues", and "Love & Peace Raga". © 1996-2019, Dusty Groove, Inc.